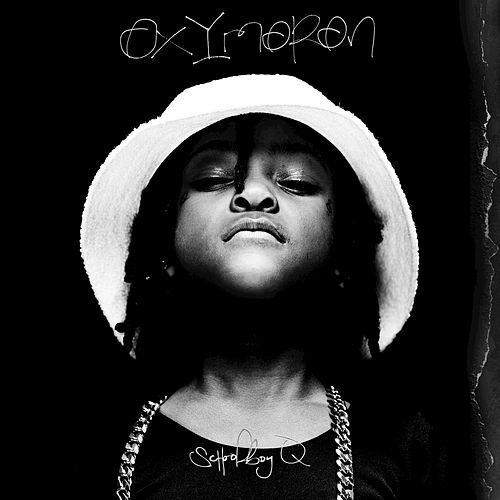 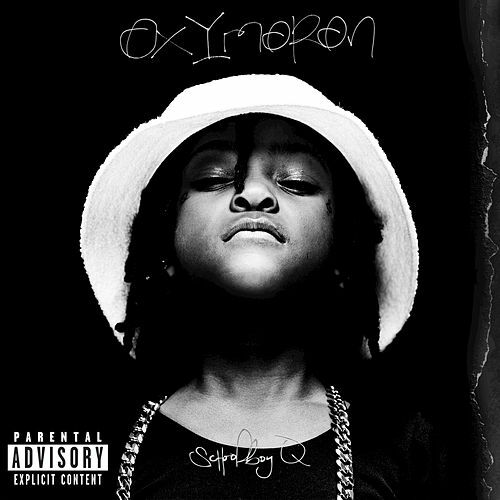 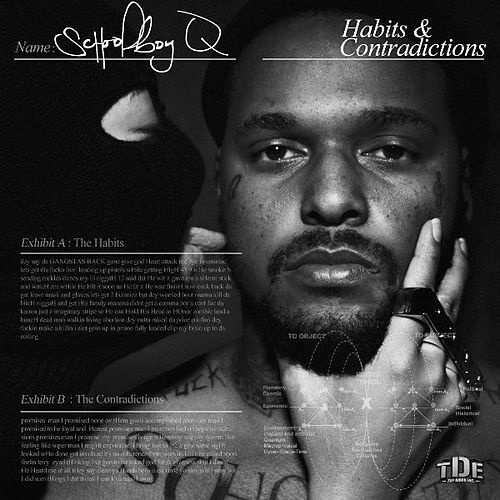 Oxymoron may be the most sonically aggressive TDE release to date, from Schoolboy Q's bellicose hooks to a beat template that's far different from the murky laptop soul the label has become known for. 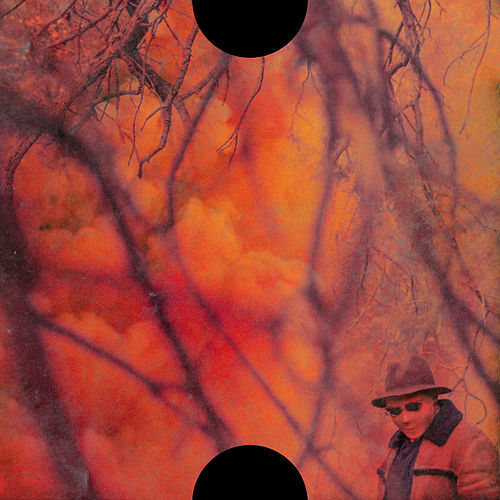 THC's "Collard Greens" is a hard bounce track; Tyler, the Creator's "The Purge" swirls around ominous cop sirens; and Pharrell Williams' "Los Awesome" is all loud synths and drum kit percussion. As Schoolboy throws up gang signs, brags about his pill-dealing days on "Prescription/Oxymoron," and tosses bills at strippers on "Man of the Year," he embodies unrelenting thug-ism.